A new restaurant in NYC is reviving a beloved Middle Eastern dish called kubbeh, which hails originally from Iraq, Syria and Kurdistan. Kubbeh are hand-rolled dumplings stuffed with meat or vegetables and encased by semolina or bulgur. 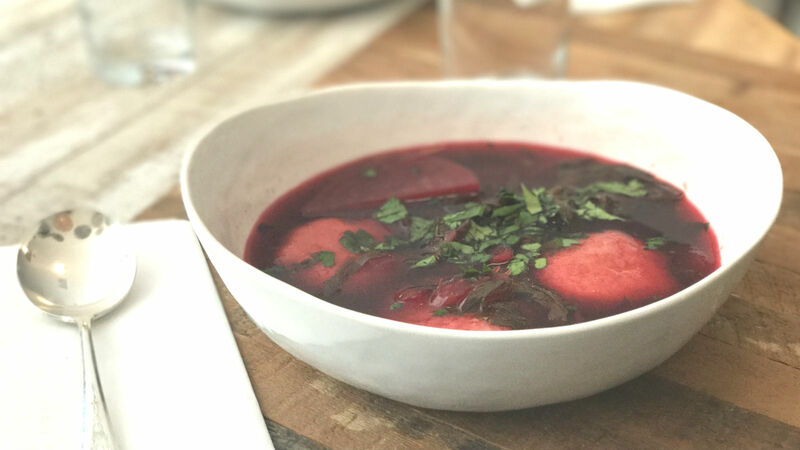 The dumplings are served in different broths, such as the classic red beet broth or the green “hamusta” broth, and the dish is a beloved, comfort food revered by families who grew up with it. It became part of the diverse culinary fabric of Israel when Iraqi Jews migrated there after 1948 and brought it over. Chef Melanie Shurka, a Long Island native, first fell in love with kubbeh while in Israel over a decade ago, long before becoming a chef. When her husband suggested she open a kubbeh restaurant in NYC, Shurka traveled to Israel and learned to hand-roll many different kinds from the best possible source: Iraqi grandmothers. But she also spent time in the kitchens of experienced Kurdish women, Syrian women and even one of Chef Meir Adoni’s restaurants in Israel, on some days hand-rolling kubbeh for hours and hours, until she got it just right. 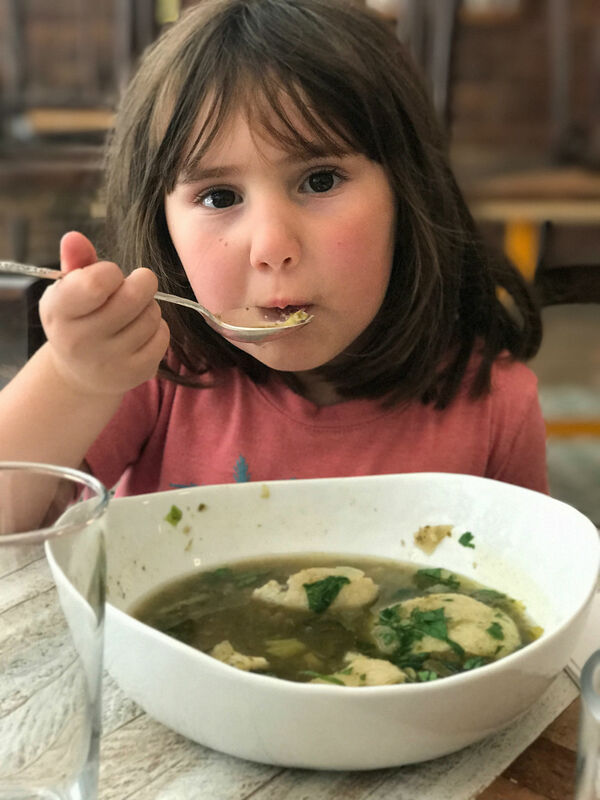 Back in New York, Shurka is putting her own spin on kubbeh, serving up several varieties of dumplings and broths from numerous regions, based on her research. One of her most unique offerings is a Syrian-style kubbeh, where both the casing and filling are made with ground lamb. She is also serving fresh hummus, pita, Turkish coffee, baklava, cocktails and plenty of vegan and vegetarian options. Oh, and even my 5-year-old daughter couldn’t get enough. Hungry for more? Watch this!